I t has always interested me how a singer may have limited success in his own country, but find great success in another country. Was it distribution? Was it promotion? Did his voice and style fit the mold of another culture? Why did Larry Finnegan, Dean Reed, Gus Backus, Ronnie Hawkins, Matt Lucas or even Gene Vincent later in his career do so much better elsewhere than at home? Clyde Stacy had two 'Billboard' Hot 100 hits both with the same song So Young, which reached #68 in 1957 and #99 for two weeks in 1959, but that was it for national hits. Yet he was contemplating a family move to Canada when he had eight songs hit the CHUM charts in Toronto, two Top 10 hits in Winnipeg as well as a Top 30 with Baby Shame. Clyde charted in other Canadian areas as well. Why did he not reach the same level of fame in his homeland? 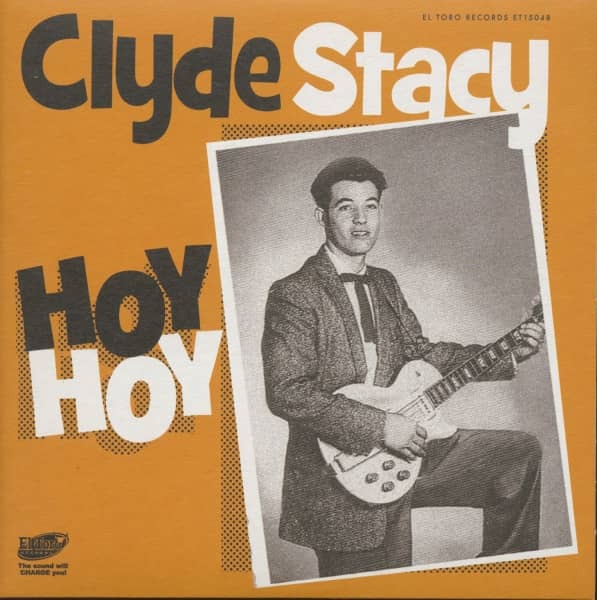 Clyde Stacy was born on August 11th, 1936, on a farm near Chetotah, Oklahoma, in McIntosh County, but received his early schooling in Jenks, Oklahoma, a suburb of Tulsa. His great Grandpa was from Ireland, and he was the only son in Homer and Faye's family of six. The family was musical in that his mother Faye played guitar and sang gospel. Her father was a Baptist minister as were two brothers, one of whom was a guitar playing gospel singer. Naturally, Clyde took up the guitar as a teenager. There was a family move to Arizona before settling in Lubbock, Texas, when Clyde was about 13. This is where he became interested in the guitar and formed his first bands. Buddy Holly was one year ahead in the same high school. Clyde ended up "playing a couple of deals" with Buddy and knew Sonny Curtis "a bit". He progressed to his own radio show on KDAV where he came into contact with dee-jay Phil Ladd, who would later play an important role in his musical career. Stacy was in Lubbock about five years before moving back to Tulsa, Oklahoma, to be re-united with the area’s rich musical heritage. 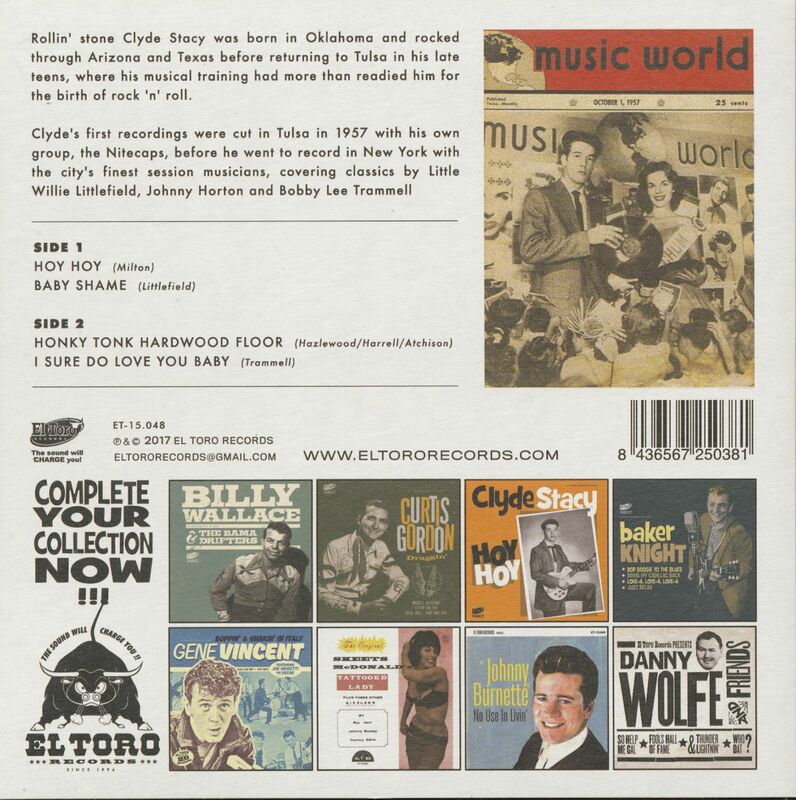 Artists such as Gene Autry, Carson J. Robison, Bob Wills, Patti Page and early rockabilly singers like Leon Russell a. k. a. Russell Bridges, David Gates, Rocky Frisco, Gene Crose, Wes Reynolds, J. J. Cale as well as blues guitarist Jimmy Nolan all worked in Tulsa. 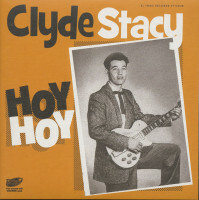 Clyde was thrown into this mix and became the first of the rockabilly crowd to chart nationally with So Young/Hoy Hoy. 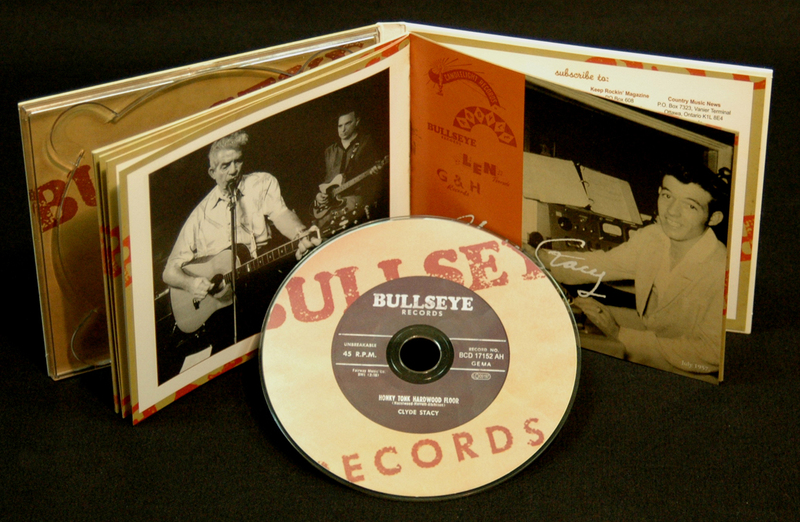 The Tulsa Sound has been described as a mix of rockabilly, country, rock 'n' roll and blues of the mid-1950s and early 1960s. Clyde wasted little time in recruiting lead guitarist John LeVan into his group. They worked around Tulsa, and were eventually booked into the Nitecap club on 11th Street for a long residency (Route 66 ran down Tulsa’s 11th Street). LeVan left to play with Gene Croce, but returned in time for the Candlelight record. KTVL’s Don Wallace was the most popular disc-jockey in Tulsa and was always ready with a promotional stunt. He sent an 18,000 strong petition on a roll demanding Elvis on TV that was mentioned at the start of Steve Allen's July 1st, 1956, show featuring Presley. 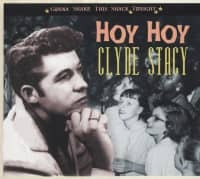 Wallace became Clyde's manager, signed him to a one-year contract in 1957 and contacted Woody Hinderling about recording Clyde and the Nitecaps. Kundenbewertungen für "Hoy Hoy (EP, 7inch, 45rpm, PS)"